NYU has pledged $380,000 to renovate Mercer Street playground as part of its initiative to enhance the communities it impacts while expanding into Greenwich Village. NYU has pledged $380,000 to renovate a playground across from its most recent construction project — a new building on Mercer Street — as part of the community improvements it has promised in its gradual expansion into Greenwich Village, which some locals support and others criticize. As it stands, Mercer Street playground, bordered by Bleecker Street and across from 181 Mercer, is not a traditional playground. It’s essentially a fenced-in slab of concrete. The playground’s main features are a faded path for roller skating and spray showers for kids to play in when the weather is warmer. The narrow .45 acre lot can only be accessed from the Bleecker or West Third Street entrances. Other than some trees around the edge, it’s devoid of greenery. NYU hopes to change that, with a contribution that exceeds the $340,000 spent to create the playground in 1995. “NYU is very pleased to be part of a community-wide effort to enhance the Mercer St. Playground as the latest in a series of interventions — from LaGuardia to Bleecker St. — that not only fulfill our requirements under the land review process but help improve the quality of life in and around the community,” university spokesperson John Beckman said in a statement to WSN. The university’s efforts to renovate the playground are part of its Core Plan, which outlines the construction of a new multipurpose building at 181 Mercer St. and grants NYU permission to develop on the blocks between Mercer Street and Laguardia Place from east to west and West Third and Houston Street from north to south. A key part of the plan is NYU’s commitment to help enrich the surrounding community. In addition to providing finances for playground improvements, NYU has promised to develop more parks and community spaces in the neighborhood on the blocks. So far, the university has updated open spaces on Bleecker Street and opened 404 Fitness among other minor projects under the Core Plan. 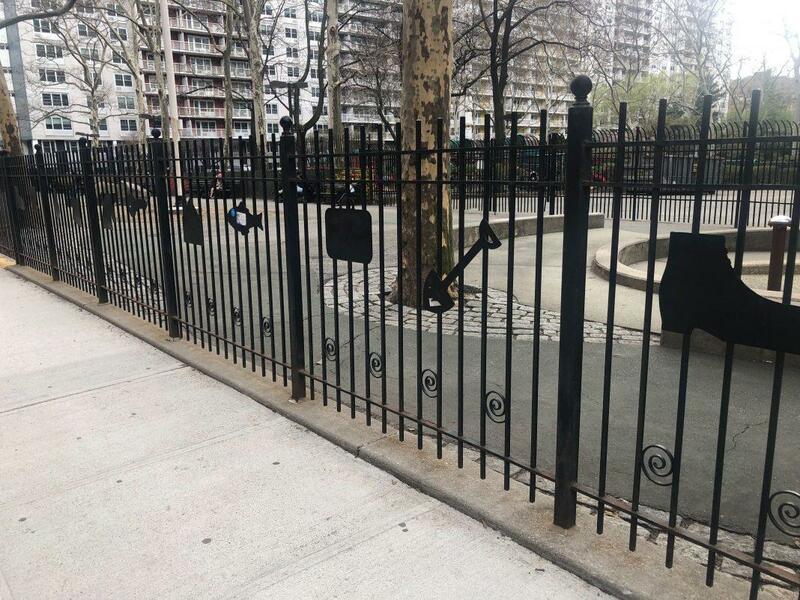 The process for renovating the playground started in January when Community Board 2 called on the New York City Department of Parks and Recreation to begin the redesign process, according to Beckman. Manhattan Borough President Gale Brewer and City Councilmember Margaret Chin held a meeting Wednesday to receive community input about what kinds of changes they would like to see to the playground which they will then present in a plan to Community Board 2. Residents at the meeting suggested additions like a skatepark or a basketball court. In attendance was Stan Fogel, a retired resident of the area who often visits the park. He was not in favor of these additions, which could potentially create more noise. However, he wouldn’t mind seeing a few changes to the space. “I think they could maybe divide [the park] into three, and you could have benches, you could [have] some kind of a playground for little kids and a place for dogs to run around,” Fogel said. According to Beckman, construction on the park will not start until the completion of 181 Mercer and a second project on the two Silver Towers in Greenwich Village. The towers house faculty and graduate students and are part of University Village, an apartment complex owned by NYU. Some locals say the 181 Mercer construction has been disruptive. Apart from the noise, Washington Square Village resident Caroline McGrouther said the construction has caused another problem for the residents. “We got a lot of mice because they all ran up [from the construction site],” McGrouther said. Chase Soha, a Brooklyn resident who works off Broadway and Spring Street, often visits the park during his lunch break. While he enjoys the ample seating, he feels the fence and two entrances at either side make the park feel inaccessible. “Sometimes I come in here and I’m the only person in here — and usually I’m here at noon,” Soha said.